Some of the roads on this section will be busy – particularly getting out of Lisbon. However, there are quiet spots to enjoy and this is the most attractive and interesting stretch of coast in the northern half of the country. Distance & Difficulty: Total distance is about 163km (102 miles). In terms of traffic, the worst part is getting out of Lisbon. We timed our visit so we left early on a Sunday morning when the roads were almost empty. Traffic levels will also depend on the time of year. 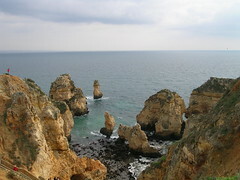 Cascais and Estoril – which are on route – are popular weekend/beach escapes for people from Lisbon. The hills around Sintra are steep – we struggled with a tandem, panniers and trailer but just shifted down to a low gear and kept plodding. There are also some sharp ups and downs along the coast as you dip in and out of valleys going down to the coast but there’s nothing too major. Overall, the rest of the route is fairly rolling, getting easier as you head further north. 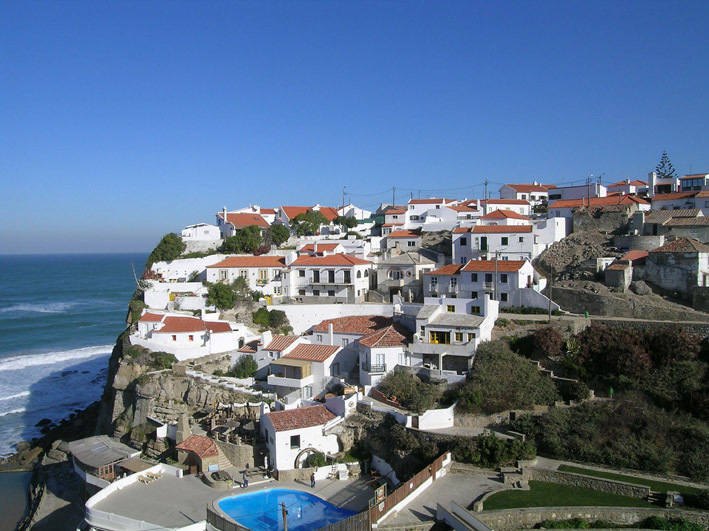 Azenhas do Mar, one of the villages on the coast between Sintra and Ericeira. 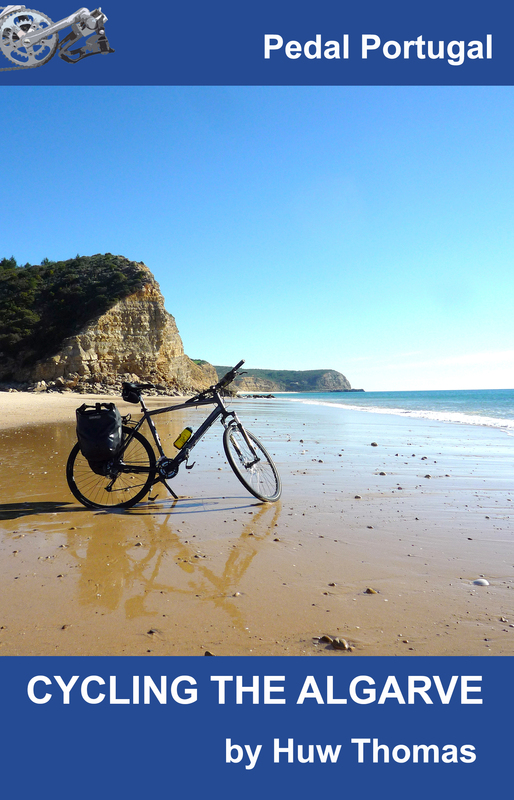 Stages: We did this part in three days of riding, stopping in Sintra (70km), Ericeira (36km) and Peniche (60km). The first day – with the hills around Sintra – was definitely the toughest. Day two was relaxing and day three was a bit more of a plod because of the wind but mostly scenic. If you have more time on your hands, you could think about detouring inland. Particularly to the east and north of Ericeira, there are some pretty – and quiet – country roads, plus lots of small villages. If you want an alternative route, try the one below. 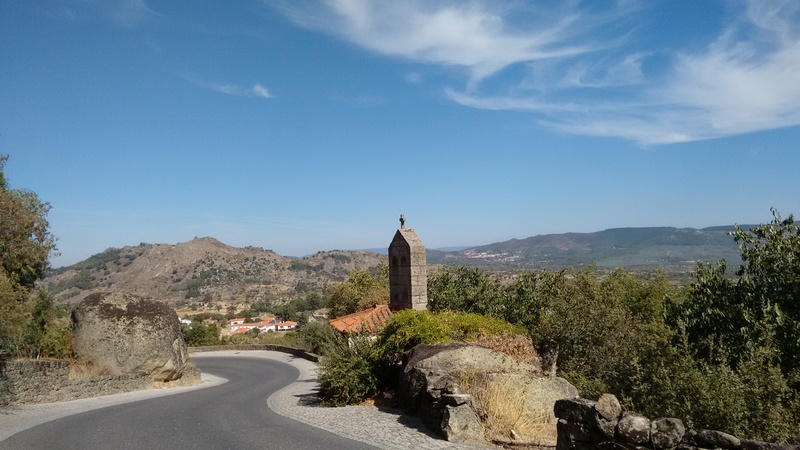 It will take you through some backroads and give you a taste of the countryside in this part of Portugal. If you take the detour via Torres Vedras, this could provide an extra overnight stop. 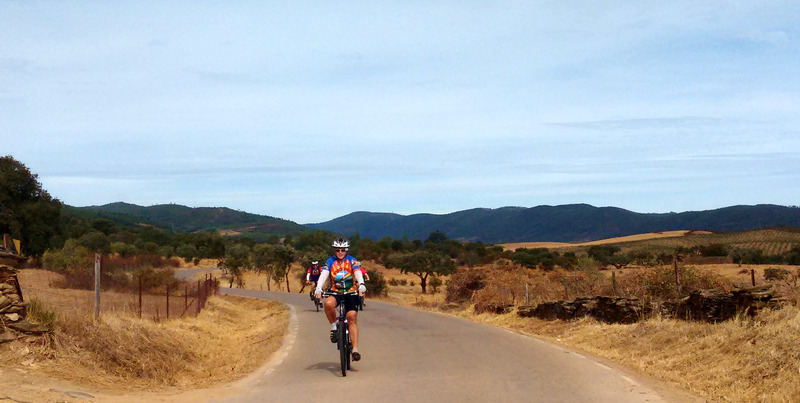 There are also several day rides giving a flavour of the area are detailed on the Torres Vedras Circuits page. The town itself makes a convenient base but is otherwise not that interesting – unless you’re interested in the history of the Peninsula War. The lines of Torres Vedras were a ring of defences – earthworks and forts – that were built around Lisbon by the Duke of Wellington and marked a turning point in the war against Napoleon. Accommodation & Provisions: You won’t have any problems finding a place to stay on this route, whether you’re camping or staying in hotels. There are also plenty of shops, supermarkets, cafes and restaurants along the way. Bigger places include Cascais, Sintra, Ericeira, Santa Cruz and Louinha. However, there are also quite a few smaller villages – as well as cafes at many of the beaches. I am planning 10 days of riding in Portugal last 10 days of May. I am checking many sites and PedalPortugal comes up all the time so here i am with questions pIease. I want to do a 7 day circuit in the Alentejo area, includng Evora Monsaraz Vila Vicosa Estremoz or similar, and then separately ride from Lisbon to Peniche via Sintra and Ericeira staying a night in each place, returning by train. Or taking your inland route from Ericeira to Peniche which looks very interesting. 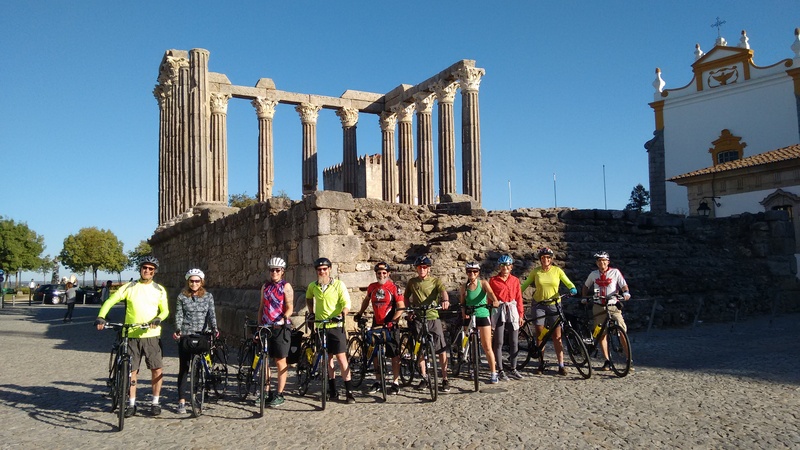 I do not hire bikes – see this page for listings: https://pedalportugal.com/directory-links/bike-hire/ (I can recommend Cycling Rentals, this is the firm we use for all our guided tours). Hi Huw, great site, I am in Lisbon next year and have a few days spare for a short tour. I am thinking day 1 Lisbon to Ericeira, day 2 to Peniche, day 3 to Allenquer then day 4 ride back to Lisbon in the morning before my train in the afternoon. Does that sound doable with good landscape? Or can you recommend something else? 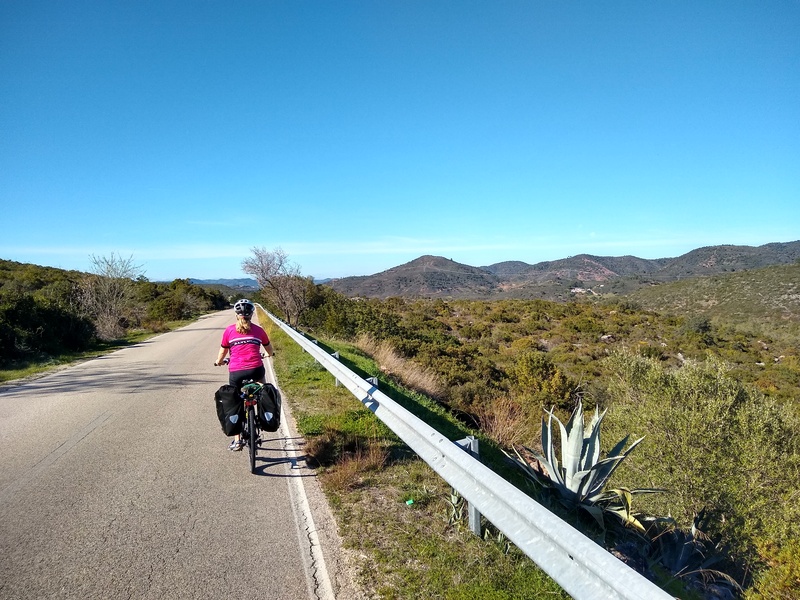 I have already cycled before the atlentjo region down from Lisbon to sagres and have spent time before in the sera de estrela and further up the coast towards Porto. Sounds pretty good. It can be busy going in and out of Lisbon though. I would go out via Cascais and Cabo de Rocha for best scenery. Coming back, I wouldn’t ride into Lisbon – possible but can be very busy and not that pretty. Alternative option is to take train back from somewhere like Santarem. Hi. Glad the website helped and thanks very much for the feedback on the bike shop – I’ve now added them to the list on the website. Hey, I’ve read a bit above and was wondering, if you could give me a little more information about leaving Lisbon? A friend and I plan to go from Lisbon to Galicia and we’d like to follow a route similar tu yours. It’s my first time biking and his second and I’m not sure about a lot of things but so happy to part-take in this adventure. What would you recommend bringing? Did you camp along the way? Man, I have a thousand questions a hahaha. If you look at the Planning section – https://pedalportugal.com/planning/ – I’ve given some ideas for things like what to bring. I also don’t know if my route was the best one, just the one I took at the time! From subsequent experience I’d say the most interesting bits of Portugal are further inland rather than on the coast…but it also depends on when you are going and all kinds of other factors. Camping is easy and cheap but means you have to also carry camping gear. If you camp you can also cook for yourselves. Like I said, many factors to consider. Thanks a million!! Only seeing this now. Hi, I’ve read all about your trip and you have such great advice and types. I plan on beginning my trip in Porto and riding down to Faro. I am new to cycling and am curious if you would recommend a hybrid bike or road/touring bike for this trip? Thanks in advance! Both have pros and cons. Really depends on what you find comfortable. The main thing is the riding position – whether you like being a bit more upright or bent over. Anything else, like wheel width, gearing, saddle, weight is changeable. You won’t need suspension (lots of extra weight) unless you’re planning some off-roading, which would be the only other reason to go for a hybrid. PS Porto and Faro are both quite built-up and with busy roads around them. You can get a train in/out of both places and start/finish your ride somewhere a bit quieter.